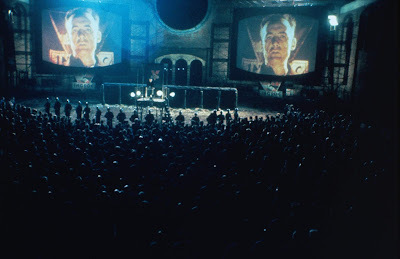 1984 is a British dystopian science fiction film written and directed by Michael Radford and based upon George Orwell's novel of the same name. Starring Richard Burton in his final screen appearance, John Hurt (ALIEN) and Suzanna Hamilton. 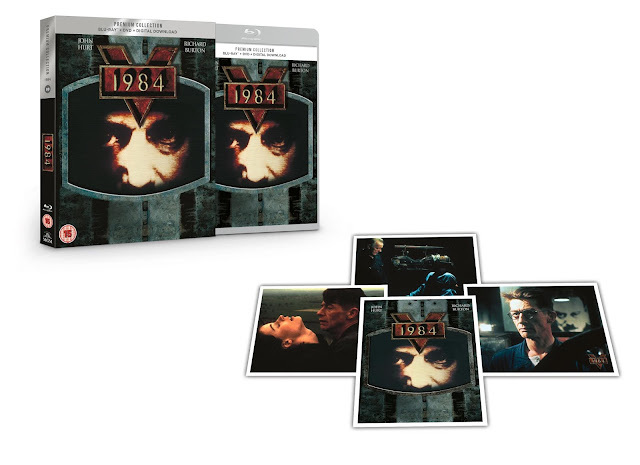 Relive the dystopian sci-fi drama 1984 with this HMV exclusive Premium Collection Blu-ray™, DVD & Digital Download available 13th August from Twentieth Century Fox Home Entertainment. In a holocaustic future world, perpetually at war, where failure to conform is the ultimate crime, Winston Smith (John Hurt) rewrites history books and finds himself dreaming of escape from the all-seeing eyes of the Authorities. He embarks on a passionate (and illegal) affair with a young woman (Suzanna Hamilton) but they are soon caught and Smith undergoes a nightmarish brainwashing at the hands of the chief inquisitor O'Brien (Richard Burton). The Premium Collection - revered films across all genres, celebrated in a Premium package set containing the film on Blu-ray, DVD and a Digital Copy - gives fans a must own version that allows them to watch however they choose. Each release also includes a collectible slipcase and 4 collectible artcards featuring the films key art.